With several packages for personal and business use, there is something for everyone at uCoz. This web management software boasts 1,500,000 active websites and starts with a free version for as long as you choose. The options are multiple, and continue up to a powerful ecommerce plan offering businesses varying storage space and website features. Even the most expensive version is very reasonably priced compared to other companies. Thousands of widgets and gadgets give users a huge assortment of extras that can be added to the website seamlessly. The page editor will let you create the website that is perfect for your brand, your hobby or your business. Add a guestbook, complete with Captcha security code to weed out robots, allowing people to leave comments about your website. uCoz offers over 250 templates and thousands of widgets and gadgets for building your perfect website. No need for coding or website building experience, simply use the point and click control panel to add or remove what you want from your website. Once you get the bare bones of the site set up, add some widgets, gadgets and photos to make the site pop. The control panel will give you the flexibility to create a website that is tailor made for your needs. Add the hidden stats counter to keep an eye on the traffic to your new site, and why not add a blog to help boost SEO? If you’re looking to build an online shop, , uCoz has many options for getting you there, and both the Maximal and the Shop packages come with full ecommerce features. These include Goods management to import and export products, Payment options such as PayPal, 2Checkout or credit card options, and even statistic reports such as incomplete orders and customer data. Because there are several different packages based on needs, some features vary greatly on uCoz. All websites will have some mobile responsivity, but the lower plans come with only basic PDA, whereas the top 3 will have full optimized mobile websites included. One of the constants with all of the packages is the unlimited bandwidth. Disk space however, differs from the free version with 400 MB to the maximal package which boasts more than 10GB. Emails and domains can be attached to all uCoz accounts, but automatic site back up is staggered depending on your price plan. APIs like Google Maps can be added to all websites to give a professional touch. 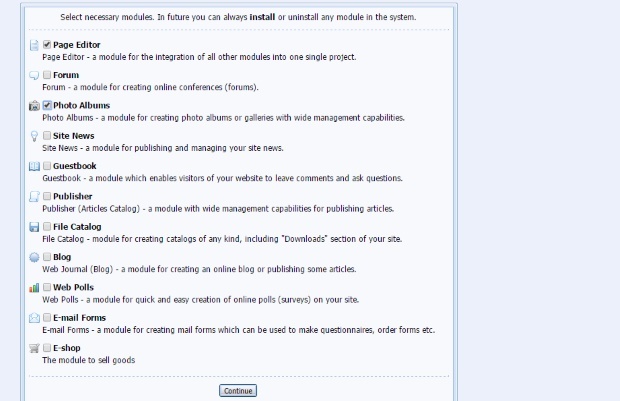 This web manager will fit with any budget and there is an assortment of packages from which to choose. Even the higher-end option is relatively inexpensive. The differences vary widely, and it is worth visiting the website to compare the packages in depth, but some examples include the free option including advertising on your website, while the high-end packages have no advertising and more storage space. A great feature of all the uCoz website builder packages is that they all allow you to bring your own domain at no extra cost, and the premium ones allow you to register a free one too. The free account or free trial are good options for seeing if this website builder is right for you, and you can upgrade at any time. In fact, all packages can be upgraded anytime, allowing your business to grow with you. See below for the price outline. When using uCoz, you will discover an excellent help menu and FAQ section. A useful forum section is interactive, with a variety of topics and has an active community. Information about the site server, news and contests for members are located in this area. uCoz also offers a downloadable textbook for creating websites with their software and anyone who signs up for a website can download this handy manual. Prospective customers can read through the manual online to see if they feel comfortable signing up with uCoz. If you have questions that are not addressed in the textbook, forums or help sections, you can always send a message to customer service. uCoz offers varying price plans for every business and personal need. The website builder is simple to use and intuitive, and every plan ensures your site can be used on mobile. 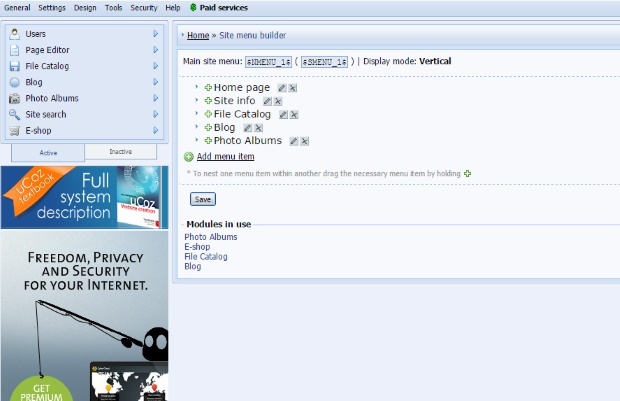 Comprehensive support and a powerful control panel makes uCoz one of the leading website builders on the market today.